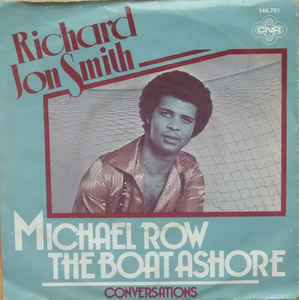 Richard Jon Smith’s ‘Michael Row The Boat Ashore’ became the 5th song to clock up 9 weeks at 1. By the time the charts ended in February 1989 we would have seen 17 songs manage this. Gloria Gaynor’s ‘I Will Survive’ broke the record last week for consecutive weeks at 2 and this week it extended that record to 7 as it was still unmoved. The Dooleys took the climber of the week award with a 4 place climb by ‘Honey I’m Lost’ which moved up from 18 to 14. It was the only star rater this week. The biggest fall was just 2 places and 4 songs managed this. The first of these was Anton Goosen’s ‘Kruidjie-Roer-My-Nie’ which fell from 16 to 18. Billy Joel’s ‘Honesty’ dropped from 14 to 16, Abba’s ‘Chiquitita’ slipped from 7 to 9 and the last of the fallers was Blondie’s ‘Heart Of Glass’ which moved from 6 to 8. It was Abba’s 13th time with the faller award and they moved into tied 2nd place for the highest number of fallers equalling The Sweet’s total. The Bee Gees were out in front with 17. Of the 7 acts so far that had managed 10 or more biggest fallers, Abba’s average places fallen for their first 10 placed them exactly in the middle of the list with an average of 5. Creedence Clearwater Revival had the highest average of 5.7 while Alan Garrity with 4.1 was the lowest. Frankie Miller’s ‘Darlin’ was still the oldest on the chart with 17 weeks to its name and it had been the oldest for 6 weeks. Wing’s ‘Goodnight Tonight’ left the top 20 after just 1 week at number 20. It was the 39th song so far to have such a run although it should be noted that 7 of those 39 so far had managed to have another run in the charts. ‘Goodnight Tonight’ was the second song involving a Beatle to manage this kind of run, the previous time being when George Harrison’s ‘Ding Dong’ managed just the 1 week at 20. ‘Goodnight Tonight’ was the only song to leave the charts this week. The new entry was Bill Withers’ ‘Love Is’. In the UK and the US this was released as the b-side of ‘’Don’t Make It Better’ which made it to number 130 in the US. Other than that it doesn’t seem to have had much impact on the charts anywhere else. The song was written by Withers and Paul Smith. The latter also co-wrote the a-side, ‘Don’t Make It Better’. It was covered by Herb Alpert on his 1979 album ‘Rise’. The total weeks count for artists from Canada reached the 300 mark this week with Anne Murray’s ‘You Needed Me’ being the song to get them to their milestone (counting from number 1 down. The 299th week was clocked up by Promises’ ‘Baby It’s You’). Canada was the 4th nation (after the UK, the US and SA) to reach this total. Richard Jon Smith joined Lauren Copley in 14th place on the local weeks count list with both acts sitting on 54 weeks. Billy Joel became the 73rd act to reach 500 points as he ticked over to 502. This entry was posted in 1979 and tagged Michael Row The Boat Ashore, Richard Jon Smith, SA Top 20, South Africa, Springbok Radio. Bookmark the permalink.